Bianca: Runaway Storm is the first book in a gripping adventure series. Can you tell us about it? 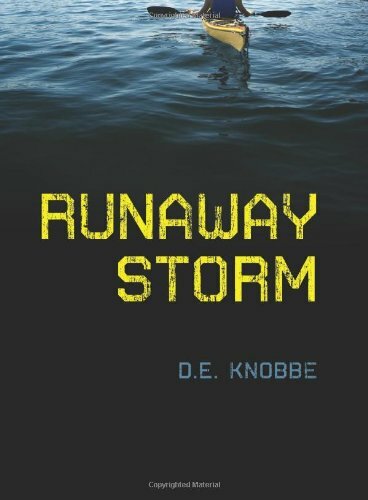 Dawne: When Nate’s father reneges on his promise to spend the summer kayaking with his son and his mother reveals her plans to stay in New York permanently, Nate feels let down and trapped. He plots to sneak away to Vancouver, steal his father’s kayak, and journey through some nearby islands for a few weeks. Nate makes it to the islands and feeling confident in his survival instincts, he paddles off ready for some fun. Inevitably, not all goes as planned, and with the help of a motley crew he meets along the way, including other runaways and a smart artistic “goth girl” with her own problems, Nate begins to come to terms with his parents’ separation and the awkward transition into adolescence.